Under Arlington's restaurant initiative, bar and restaurant staff receive training in responsible alcohol service, de-escalation techniques, identification of fake IDs, intervention in sexual assault and harassment, active shooter scenarios and more. WASHINGTON — Arlington County, Virginia, is trying to fight drunken driving, and its method may prove to be a model for the nation. Arlington’s restaurant initiative was launched about two years ago. As part of the initiative, officers are assigned to work with management and staff of bars and restaurants to help create safe standards of practice. Bar and restaurant staff receive training in responsible alcohol service, de-escalation techniques, identification of fake IDs, intervention in sexual assault and harassment, active shooter scenarios and more. “We hope to publicize this [initiative] through NIJ (National Institute of Justice) so everyone has the opportunity to see what we did and replicate it in their own community,” Farr said. Arlington County is also establishing designated Uber and Lyft pickup and drop-off sites in Clarendon, a local night life hot spot. 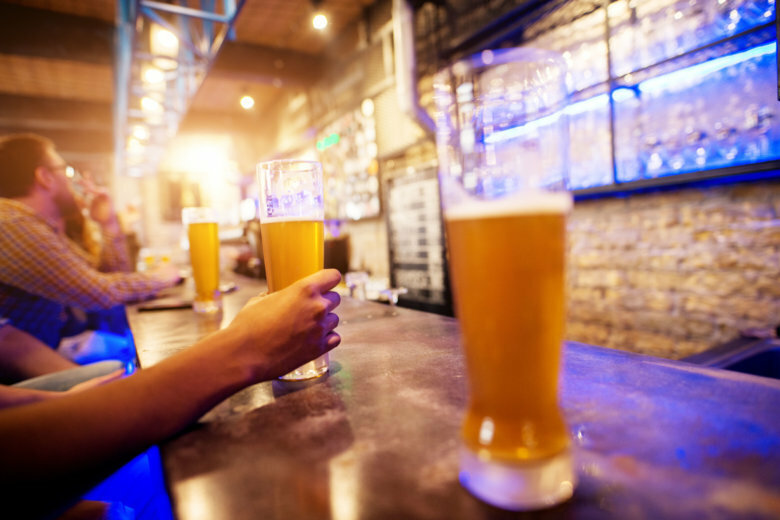 The idea is make it easier for patrons of bars and restaurants to access these services, thus diminishing their likelihood of getting behind the wheel while drunk. WTOP spoke with Farr on Wednesday, before the Washington Regional Alcohol Program’s presentation of its latest impaired driving statistics to the Metropolitan Washington Council of Governments Board (COG). Farr is chair of the COG Police Chief’s subcommittee. As for local drunk and impaired driving, Farr believes the region is having some success. The number of impaired driving crashes — and injuries in those crashes — is down. But fatalities linked to impaired driving are up 46 percent from 2016 to 2017. “Because the fatalities are up, we’re going to have to do a deeper dive into what’s causing it,” Farr said. The jump in fatalities occurred after two years of improvements, so COG’s Transportation Planning Board (TPB) is conducting a study to try to figure out what’s going on. “In an effort to better understand what factors are causing the reverse trend and then to identify what specific strategies would be most effective in addressing those challenges,” said Kanti Srikanth of the TPB. Srikanth expects the study could take the next twelve months.